In order to raise funds, DRM-Hicom, Proton's owner, might be selling its major stake of the British brand to save itself. This comes after the Malaysian government gave Proton the nearly S$500 million in financial aid back in April, reported Automotive News Europe. 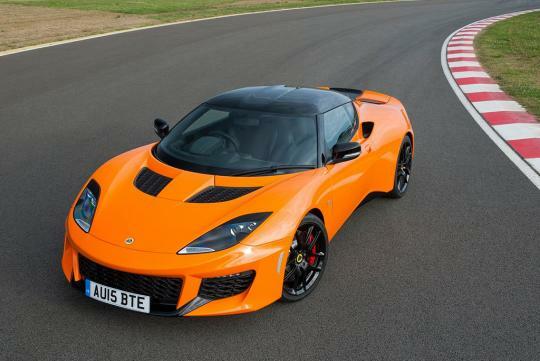 Proton is believed to have sent out the sale proposal to almost 20 other automotive brands in its attempts to find a new parent for Lotus. Suzuki, Renault and Peugeot have since confirmed that they're responding to the proposals but have declined to comment on the outcome. With the all new Elise due soon, this could spell trouble for the brand and its future product plans. I always compare Hyundai and Proton because Proton was better than Hyundai in the 90s. After so many years, look at where Hyundai is and how many range they have while Proton still so laid back in their range. Something is wrong with their management. Suzuki and Lotus sounds like a fun match. One make lower end lightweight fun cars, the other makes high end. I don't think lotus will die. It's a plug and play company. They will simply be bought over and their car building philosophy changed to embrace a more sales figure oriented approach. Thanks to the Corruption inside Proton....How much $$$ Gov't gave also "Eat" by the High ranking employees. Proton in the 90s based on licensed designs from Mitsubishi. That's why there some Japanese DNA in Proton cars of the 80s and 90s hence the perceived quality. Hyundai designs are mainly their own and hence their technical know-how and experience only grow from then on. In the 90s, Hyundai actually also uses Mitsubishi engine for their Elantra. Design wise is their own. Hyundai also started off with only a few range and today look at how many models they have and also introduced a luxury brand "Genesis". Proton still the same old way of doing things. The new Perdana still based on previous model Accord. Proton is being pampered too much and progress too slow. Basically it can never grow and forever catching up if the management mindset never change. In the past before carbon fibre is widely used in cars Lotus did have an edge with their lightweight Aluminium glue-bonded sportscars. Now they are just continually falling behind. That edge has become common knowledge.